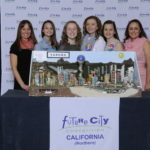 For their design of “Vintage Grove,” a sustainable city in the year 2150, Girl Scout Troop 2225 from Modesto, California, won ASCE’s Most Innovative Design of Infrastructure Systems award at the National Engineers Week Future City Competition, held at the Hyatt Regency Crystal City in Arlington, Virginia, on February 20. This was the first time a Girl Scout troop competed in the Future City Competition, which is now celebrating its 20th year. Kristyn Dexter, Katrina Fitzpatrick, and Kiana Engle, under the guidance of teacher Lori Dexter and engineering mentor John Paoluccio, designed and built a scale model of a city where they successfully recycled water, wastewater, and waste into reusable products that serve their community. 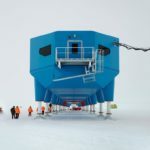 In designing their future city, called Vintage Grove, Fitzpatrick says they not only learned about the many different kinds of engineers and the jobs they do, but their project also piqued their interest in becoming engineers themselves. The Future City Competition is a national, project-based learning experience where 6th, 7th, and 8th grade students design and build cities of the future. Working in teams of at least three students, a teacher, and an engineer mentor, together they plan cities of the future by first researching and then writing an essay explaining their solution of an engineering problem. This year’s topic was rethinking runoff, where students were asked to design clean solutions to manage storm-water pollution. Using SimCity 4 Deluxe software, teams then built a tabletop scale model using recycled materials. Teams presented their model at regional competitions throughout the United States in January, and regional winners competed at the National Finals in Arlington, Virginia, February 15-20. Girl Scout Troop 2225 represented the Northern California Region. According to Thea Sahr, director of programs for the National Engineers Week Foundation, which organizes and sponsors the Future City Competition, this year more than 35,000 students participated, representing over 2,220 teams from various middle schools nationwide. Thirty-six regional competitions were held in January. Sahr says she is impressed by the stories that she hears from parents of students who are involved in Future City. 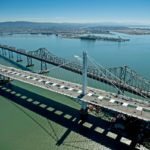 This year, the overall first prize national winner of the Future City Competition was a team of students from Valley Middle School in Oakland, New Jersey. Anna Butler, Padraic J. Burns, and Sophia Kotik won a trip to the U.S. Space Camp in Huntsville, Alabama, sponsored by Bentley Systems Incorporated. Finishing second in the competition was Veritas Homeschoolers Support Group, from Gilbert, Arizona, which received a $5,000 scholarship from the National Society of Professional Engineers Educational Foundation for the group’s middle school technology program. Queen of Angels Catholic School in North Huntingdon, Pennsylvania, finished third in the competition and received a $2,000 scholarship from the Institute of Electrical and Electronics Engineers for their school’s technology program. Celebrating its 20th year, the Future City Competition recognized Natalie French, A.M.ASCE, as its first recipient of the Alumni of the Year award. 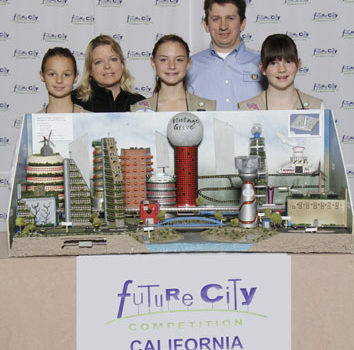 French, a design engineer I with the Redwood City, California, office of BKF Engineers, was a member of the 2004 Future City Competition winning team from Riverview Junior/Senior School in Oakmont, Pennsylvania. This year, French served as one of the six national Future City Competition finals judges. “I think me earning this award will inspire people who have been involved in Future City in the past to come back and volunteer as a judge or a regional coordinator,” says French, a 2012 graduate of Carnegie Mellon University with a bachelor’s degree in civil engineering and public policy. 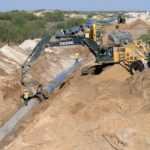 “I knew back in 4th grade that I wanted to be an engineer but I did not know what kind, so being involved in Future City helped me decide to become a civil engineer. “I can honestly say that Future City changed my life and the lives of all the others who competed throughout the years.